The first title of the the inaugural APT Tokyo Japan 2019 was captured today by Go Mori! Mori is a tour regular with numerous cashes in the circuit including one prior trophy. 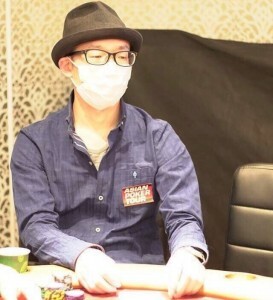 He topped the 49-player field, defeating Renjiro Uehara at heads up. The final hand was A♦ 2♦ over 10♣ 8♣ on a board that ran 9♥ 4♠ Q♦ A♥ K♦. 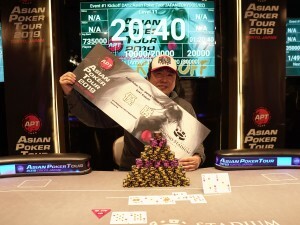 Mori won an APT Philippines 2019 Main Event ticket worth JPY 120,000. 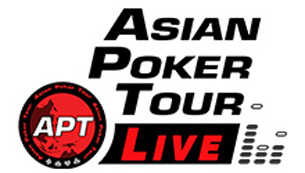 For 2nd place finisher Uehara, he was awarded an APT Philippines 2019 Side Event ticket worth JPY 60,000. And finishing 3rd was Yuki Nakatsuka. He was awarded an APT Philippines 2019 Side Event ticket worth JPY 30,000. While the Kickoff Event was wrapping up, Day 1A of the Main Event got underway. 52 runners heated up seats at partner and host venue Casino Stadium. By the end of 12 rounds, the game was stopped with 13 players remaining. 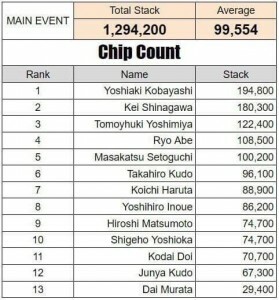 Bagging up the chip lead was Yoshiaki Kobayashi with 194,800 in chips. Day 1A survivors advance to Day 2 taking place on Sunday, February 10. In mid-afternoon, another side event joined the action on the floor, the No Limit Hold’em with a buy-in of JPY 12,000. 46 runners turned up. 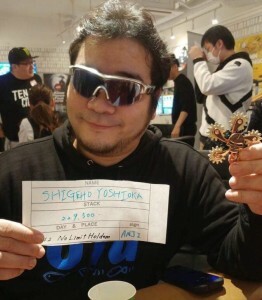 The night bagged up with 8 players remaining led by APT regular Shigeho Yoshioka.